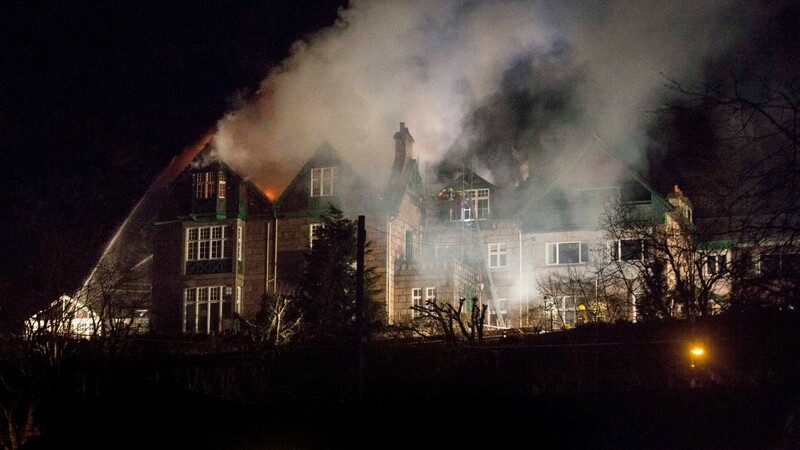 Fifty firefighters tackled a major blaze at a 130-year-old Aberdeenshire hotel this evening. 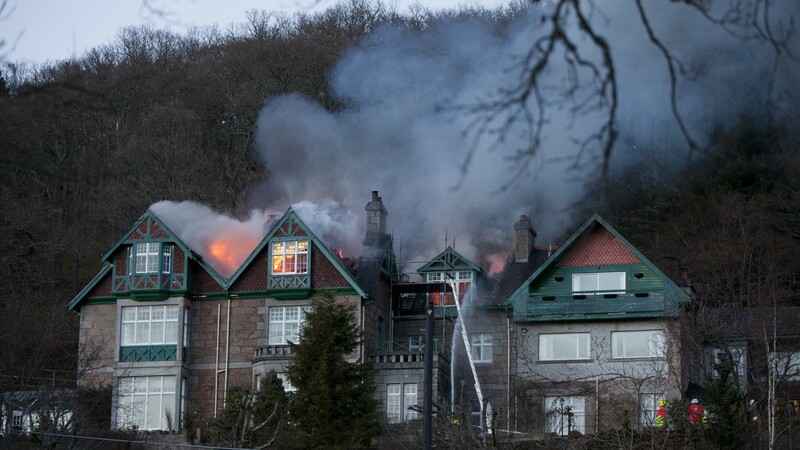 The Scottish Fire and Rescue Service confirmed they were called to Darroch Learg Hotel in Ballater around 4pm this afternoon. 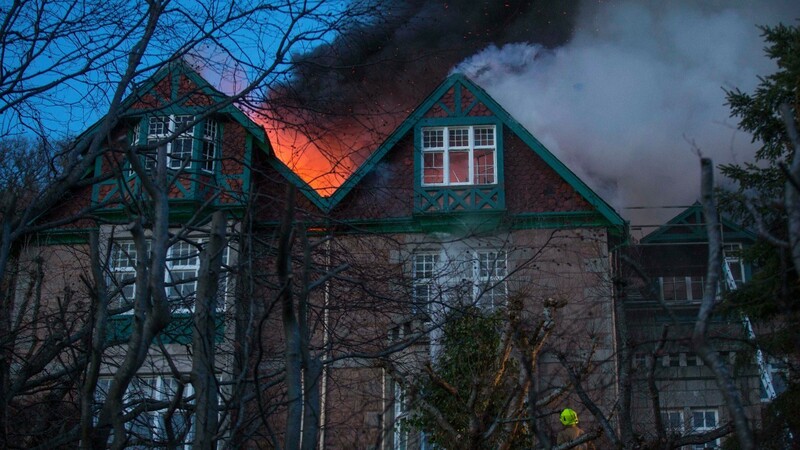 The blaze broke out on the second floor of the category B-listed landmark and quickly spread through the roof. It is understood no one was inside the family-run three-star hotel, which had been undergoing a refurbishment, at the time. Owners Nigel and Fiona Franks, whose family have run the business for more than 50 years, declined to comment last night. 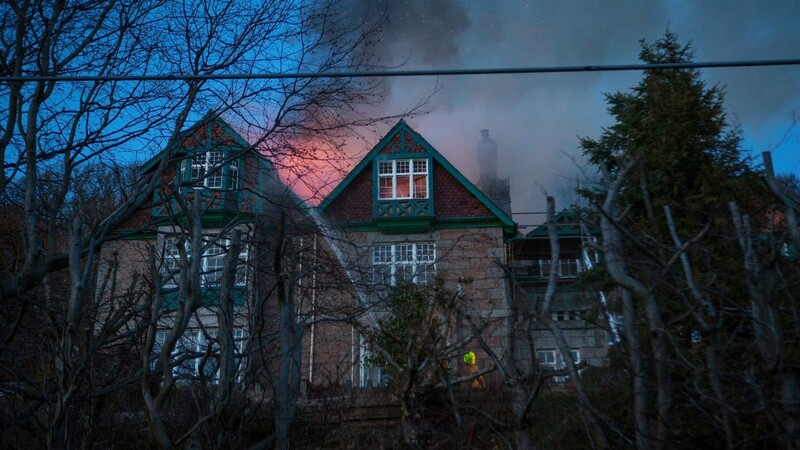 However, fire chiefs said they were confident crews had managed to save two-thirds of the building. 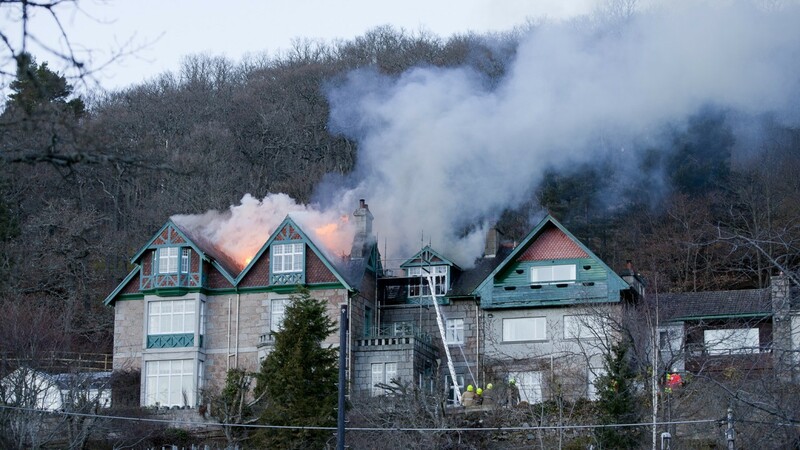 Shocked locals watched as the blaze engulfed the top two floors of the three-story Victorian property. 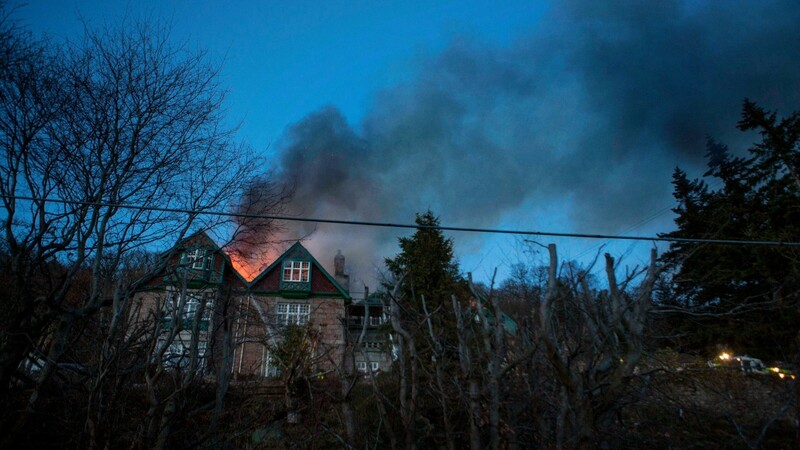 Fierce flames could be seen leaping into the evening sky as thick, grey smoke billowed from the roof and across the village. 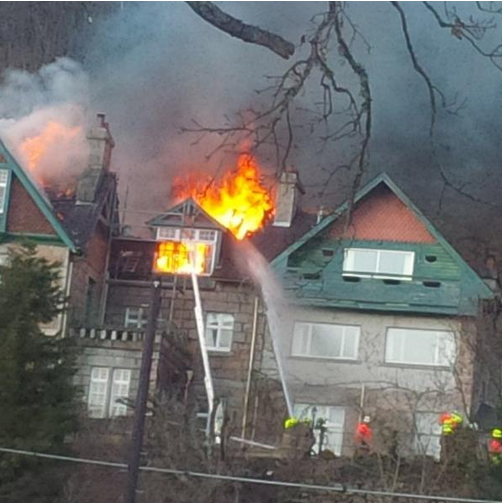 Paramedics and police were on stand-by at the scene as firefighters battled to bring the blaze under control. The Darroch Learg was built in 1888 as an elegant country residence for The Rev Dr Alexander Ogilvie, headmaster of Robert Gordon’s School in Aberdeen. The venue has collected numerous accolades since opening as a hotel, including coveted titles in the RAC Hospitality Awards and a place in the top 10 of Scotland’s best eateries. In 2009, it was awarded three AA red stars, maintaining its place among the UK’s top hotels, and has been recommended as an “inspector’s choice”. It is often praised for its spectacular views, which sweep south across Balmoral forest, and paths that lead directly onto Craigendarroch. 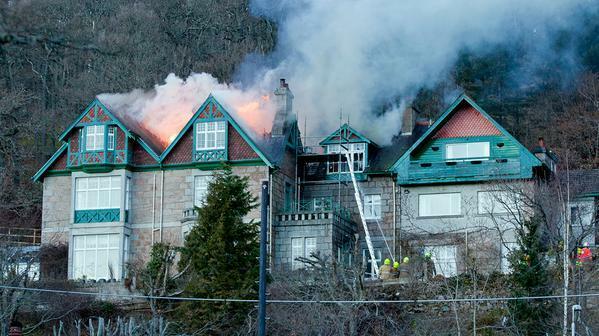 The A93 has also been closed at Ballater while the crews try to bring the blaze under control.